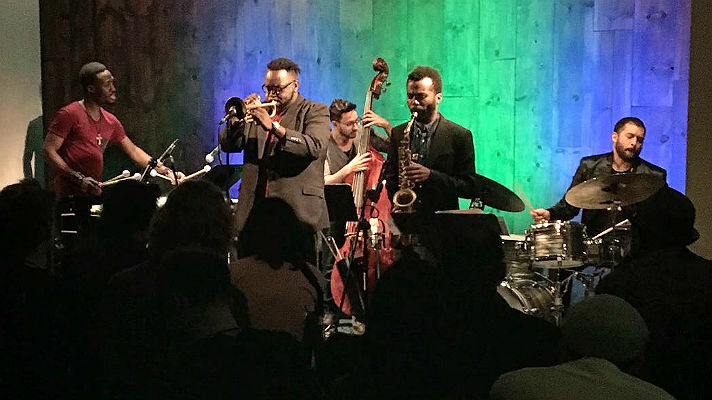 This gem of a jazz club is known as LA’s premiere jazz space and is co-owned by Grammy winning trumpet great Herb Alpert. The talented musicians perform in a stunning dining area in a stylish “dinner in the round” theatre-style arrangement. Couples flock to the ground floor booths and the central balcony tables for a perfect view of the performance area. On the menu, you’ll find American steakhouse classics as well as artistic cocktails. This place is as smooth as the music! The Blue Whale is much more discreet than its name suggests! Since it’s quite hidden away, the venue is typically full of jazz enthusiasts. This is a place that’s serious about the music and dinner-time chatter isn’t tolerated when the musicians are playing. 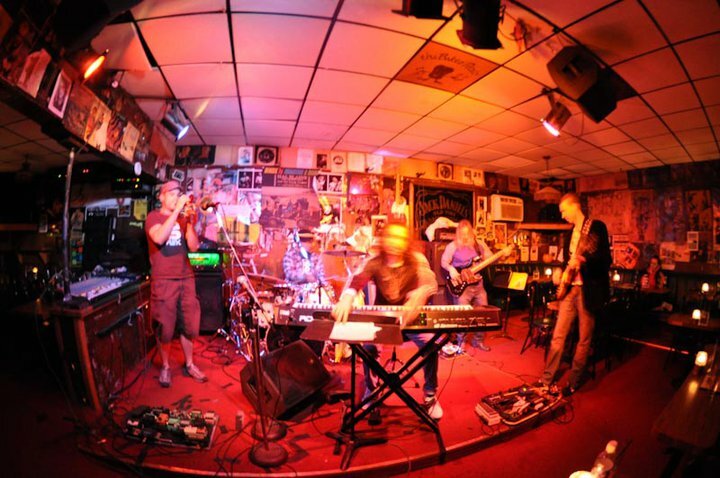 The Blue Whale is a hot spot for CD release parties and fresh talent. 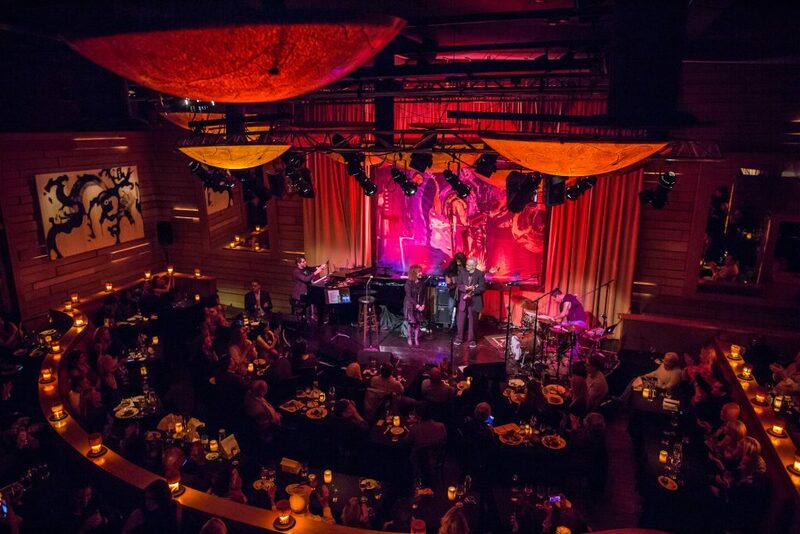 The intimate atmosphere and great acoustics are what make this live jazz club so special. The broad selection of craft beers and modern cocktails are also a major plus! 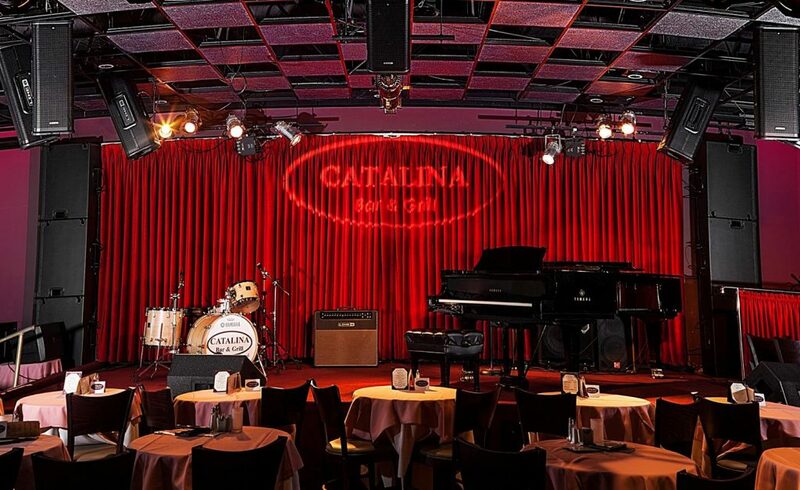 The Catalina Bar & Grill is one of the more expensive jazz venues in LA, but they host a fantastic balance of well-known jazz musicians and new local talent. Seating works on a first-come first-served basis, so it’s best to arrive promptly, as the venue fills up quickly. Catalina’s slogan is “Nothing But the Best in Jazz” and we believe them! The Baked Potato was opened back in 1970 by keyboardist Don Randi. At this quirky spot, there are two shows each night – the first starts at 9:30 p.m and the second follows at 11:30 p.m. Unlike some of the more upscale jazz venues, this is a much more casual place with a laid-back vibe. Wooden-paneled walls and low ceilings enhance the acoustics, as well as giving the space a cosy feel. With a name like The Baked Potato, it would be rude not to specialize in tasty potato dishes! We like the sound of their unique toppings, such as Maple Ham, Corn, and Pineapple. We’re not promising a serenade from Ryan Gosling, but if you’d like to experience the best jazz venues in LA and explore the entertainment capital of the world – visit our site today!